Unless you’ve been living under a rock for the past couple of years, you know we’re living in a mobile world. Hopefully, most of us have already recognized and adapted to this change. 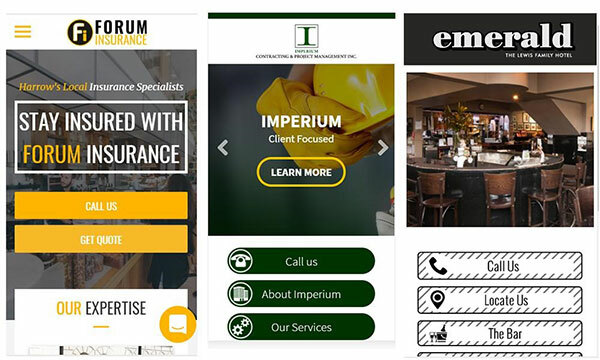 Having a mobile-friendly website is a great start, but that’s rarely enough. If you want to stay relevant, there are always new things to test, implement, tweak and improve. By 2019, 63.4% of internet users worldwide will be using their mobile devices to get online. There are no signs of this trend slowing down. In fact, quite the opposite. Mobile popularity will continue to grow, and you need to stay ahead of the game. 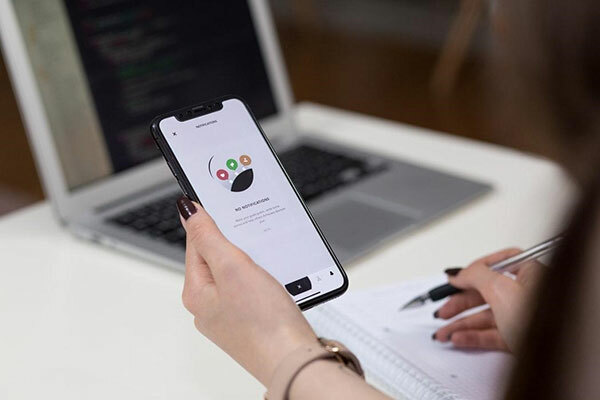 Here are few mobile optimization tips to consider when creating the best possible experience for your mobile visitors. Adopt a minimalist mindset – make it easy for customers to get what they came for. Simplify the navigation by making it slick and intuitive. Remove flash animations, needlessly large images and other embellishments which slow your site down. Test and figure out how users feel about using your site. Tools like Userfeel.com and Usertesting.com provide an ability to harness feedback from other people and gain insights on what can be improved. Besides, you can set up A/B tests to figure out what works best. Conversion rate optimization (CRO) services like Optimizely, Evergage or OmniConvert can help you with that. Know what your consumers want. It only makes sense to learn more about your target audience. It will help you to make fundamental design decisions and provide a marvelous experience. Make it large and noticeable. Utilize enticing colors and the right words. An average human eye tends to focus on center and corners. Be strategic in how you position it. Besides, mobile opens an entirely new realm for creative and effective calls-to-action. For instance, website builder Duda creates industry-leading mobile-first websites with outstanding mobile CTAs. They serve mobile visitors with options to call business with a single tap (click-to-call button), get directions, schedule appointments and even set personalized conditions for different audience segments. Duda’s mobile-only website experiences are truly something to look up to for many agencies and designers. Unless you’re making a long-form sales letter for a high-end B2B product, try to avoid large chunks of text. They don’t work on mobile. A better way to do it is to place high-quality images that resemble your brand and showcase your products and services. If you can, show, not tell. However, high-quality images don’t have to be large in size. Try to compress your images so that they look great without being clunky. If you’re running your blog on WordPress, adaptive images plugin will help. Make use of images and do it liberally. It’s easier to see pictures than read text on mobile. And if you need to use some text, be sure to make it large enough so that it’s readable without zooming. If you’re running an ecommerce store on your mobile site, then optimizing mobile product pages is a must. They have to be well-constructed and neat for a seamless checkout experience. Otherwise, customers are unlikely to buy from an unorganized and hard to navigate page. Despite surpassing the desktop in internet traffic volume for a few years now, mobile still seems to lag behind in ecommerce. Especially when it comes to conversion. The situation is perfectly illustrated in Adobe Digital Insights 2017 Holiday Predictions report. Although 46% of ecommerce traffic during 2017 holiday season was mobile, it accounted for only 27% of purchases. 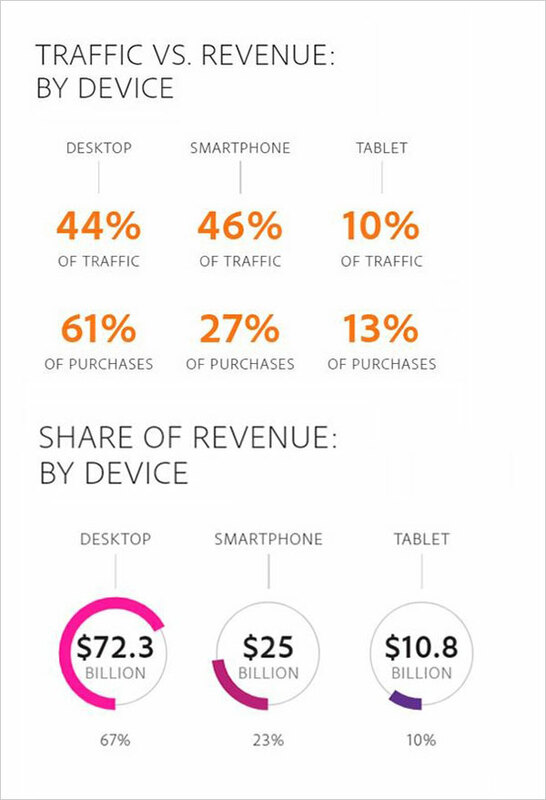 In contrast, desktop traffic made up 61% of revenue. Other studies suggest this tendency, too. For instance, Monetate EQ2/2018 Recommendations report shows that desktop sites still perform better when it comes to generating sales. A Merchology case study confirms it. Their team has discovered that most visitors switch from mobile to desktop to check out. Thus, they decided to turn their store to a. 340% increase in revenue per mobile device. 40% increase in mobile conversion rate. Of course, it’s just one successful example of how mobile-first design improves ecommerce, but it indicates the truth. If you want to drive your ecommerce sales via mobile, consider switching from responsive design to a mobile-first site. Your ability to serve relevant information is going to make or break your sales. Put yourself into customers shoes – if you can’t find what you’re looking for, you will move on to competitors. Therefore, you have to have a solid understanding of your customers’ behavior. Once you know their behavior patterns, you can structure your mobile website to meet their needs. According to Google Consumer Barometer, when US customers interact with local businesses, they use smartphones to look for prices, opening hours, sales offers & coupons, business location, reviews, and service availability. Although this information is rather general, it can already put you on the right track. Having excellent information architecture ensures you’ll attract more relevant visitors who are interested in your goods & services. Mobile is a trend that isn’t going anywhere. The tips above showcase that you don’t have anymore time to delay stellar mobile-first optimized experiences to your customers. The change is happening now, and it is your chance to lead it.